I'd say it is reasonable to assume that all of us have an impact on the environment everyday, whether we think about it or not. From the sheets we sleep in, to the shower we take when we get up, the meals we consume on our commute to work, the cosmetics and clothing we wear, to the leisure activities we participate in. Not you or me in particular, but the one billion of us that are currently participating in the consumption-based industrial economy and the 3-5 billion others that would like to as well. What does eco friendly living really mean to us? How do we go about embodying an earth-conscious way of life, while maintaining a standard of living we can accept? Below are some of the hot-button topics I have discovered that participants in the eco-friendly lifestyle and movement are addressing the most. 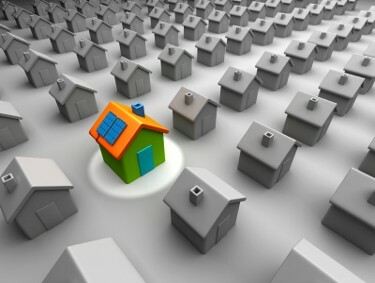 I found that one of the biggest impacts we have on the environment is through our homes. 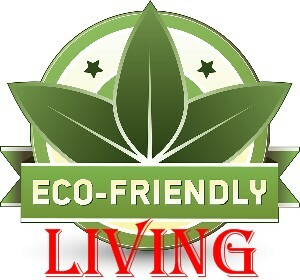 Eco friendly living really begins with taking a look at our homes and offices. The buildings we inhabit every day require raw materials to construct, energy and water to run, and produce waste as we live our everyday lives. Unsealed air leaks can add up to 1,300 pounds of greenhouse gas emissions to your footprint annually. Inadequate insulation in your attic can add between five and 25 percent to your heating/cooling bills. $8.9 billion dollars worth or 25 percent of the pesticides shipped to the US annually are purchased for use on home gardens and lawns. These chemicals can cause health problems in humans through ingestion, inhalation, or absorption through the skin. They also pollute groundwater and kill beneficial organisms, leading to additional applications of pesticides to keep weeds and insects under control. We create an average of 100 pounds of household hazardous waste (HHW) every year in our homes, with things like drain cleaners, used appliances (especially those containing refrigerants like air conditioners and fridges), metal polishes, vehicle-washing soaps, and household cleaning supplies. Solar has the potential to put a huge dent in our energy consumption. If every rooftop in America had solar PV, we'd be able to generate 710,000 megawatts of energy, or 75 percent of our current electricity requirements. Solar thermal water heaters can further reduce the average home's water heating demands by 50-80 percent. Wind turbines could potentially supply 15 times more energy than we currently use worldwide. In fact, one turbine can provide enough energy for between 225 and 300 homes. About 10 percent of all household paint purchased every year, which contains fungicides, mercury, lead, and organic solvents, is simply discarded down the drain or into the environment. Conventional gas-powered lawnmowers emit the same air pollution as 11 cars in one hour. 68 percent of our waste is organic (paper, wood, yard waste, food scraps). Composting it can keep 4.6 pounds of the stuff from municipal landfills per person every day. If we improve the water efficiency of commercial buildings and homes by just 10 percent, we could save 2 trillion gallons of fresh water annually in the US. As you can see, both individually and collectively, we have a big impact on the planet. So how do we go about making our homes more eco-friendly? First, we can start by using eco building designs. This can be done by seeking an eco architecture firm and an eco building certification like that offered by LEED (Leadership in Energy and Environmental Design), which applies to homes and commercial buildings. ENERGY STAR certification is another eco building option for businesses. If you're not building new, you can still employ eco green building plans when renovating your existing space. Choose Forest Stewardship Council - Certified wood products for flooring, furniture, and structural materials. These eco-building materials will ensure that our forests are protected and managed sustainably. Install only the highest-efficiency appliances and fixtures. This is simple when you look for the ENERGY STAR label on things like refrigerators, dishwashers, lighting fixtures, computers, stereos, laundry appliances, freezers, and more. Use earth-eco designed products that save water, such as low-flow showerheads, faucet aerators, low-flow, high-efficiency toilets, and drip irrigation systems. You could even consider no-water urinals and graywater recycling systems for positive steps toward eco friendly living. Choose eco-freindly furniture made from eco-materials such as bamboo, reclaimed wood, and rattan. Also look for furniture that's finished with low-VOC paints, stains, glues, adhesives, and so on so that you don't pollute your indoor air. Choose eco green building materials that are made from recycled materials, such as carpeting, paint, flooring, furniture, and so on. If you are really fanatical about the environment, you may want to consider building an eco-straw house. These are made with strawbale and are super energy efficient and very natural. So whether you're buying new or renovating old, there are many things you can do to turn your house into an eco-home to make it the most environmentally friendly building on your block. 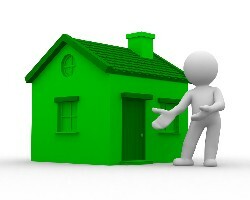 Have eco green designs in mind from the start and the process will be easy. Another area we can address is eco-friendly fashion and design. The clothes we wearâ€”whether they're made from cotton or polyester or woolâ€”all have at least some impact on the environment. Consider, for instance, that a regular T-shirt by weight is composed of 73 percent cotton and 27 percent chemicals and residues used in agriculture and dyeing. It also requires 400 gallons of water to produce (cotton is an extremely thirsty crop). These same proportions of chemicals and water can be seen in all conventionally-grown cotton textiles, including clothing, linens, towels, and the like. The chemicals that are present in these items can also affect our health. The skin is the largest organ in your body and can absorb up to 60 percent of what it comes in contact with, so taking care not to have these toxins against your skin all day long might be a way of preventing disease. What characteristics should you look for when shopping for eco-friendly fabric, eco-friendly clothing, and eco-friendly linens for your home? Look for organic cotton when shopping for textiles of all types. Organic baby clothes and organic cotton T-shirts are becoming especially easy to find, but you can also find organic cotton bedding and organic fabric used to make other clothing pieces as well. Eco-friendly shoes are also another hot green item on the market today. These products are made from things like hemp, organic cotton, nontoxic glues and dyes, and recycled rubber tires. If you've got a new little baby in your home, try to find organic baby products, and especially look for eco friendly diapers made from organic cotton or bamboo. Reusable diapers are a great choice because they prevent the production of a lot of waste, but organic cotton diapers are much healthier for your baby, too. 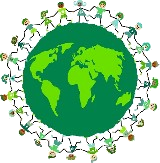 Other eco-friendly clothing fiber options include bamboo, hemp clothing, Modal, silk, organic wool, and alpaca fibers. We throw away enough batteries every year to weigh the same as 6,000,000 computers. When taking cruises, we produce 7 times more waste than when we're living at home. We generally toss old cell phones after only 18 months of use. This sends toxic materials and recyclable materials to the landfill instead of to a recycling facility where they could be reused or reclaimed. When lined up end-to-end, the combined greeting cards (7 billion of them) purchased in the US every year would go around the earth 54 times. That's just a sampling of some of the somewhat innocent but destructive habits we have in North America and Western Society in general. I believe most of this comes from our constant emphasis on individualism and separateness, which leads to our inability to see the reality of our interconnectedness to all things, including the earth, as many other cultures do. Reduce waste by simply buying LESS, buying higher quality, and reusing more. Shopping habits for Eco friendly living include things like buying products that will last a long time, looking for recycled content in the items we choose, making sure what we buy is recyclable or biodegradable, and avoiding toxic pollutants. These same principles can be applied when shopping for eco-friendly gifts. One eco-sustainable habit is to buy eco-friendly paper for the home and office - It typically has a high percentage of recycled materials and is whitened without chlorine. Support eco companies that make eco friendly living possible and those that are going green by offsetting their carbon emissions. Make it a point to support companies that produce environmentally-preferable goods, manufacture their products in a sustainable and fair manner, and those willing to incorporate environmental considerations into every aspect of their business. Drive less - This could mean that you walk or ride your bike, take public transportation, or carpool with a friend. Recycle your clutter - Easy and fun ways for recycling your clutter. Ideas about how to donate or sell your unwanted items and information about Council Recycling Facilities. Eat locally-grown, organic foods to reduce the impact of your daily meals. Also, reducing the amount of meat you consume can be a big step in embracing eco friendly living. This is just a smattering of ideas that I discovered during my search for living in a more eco friendly way. 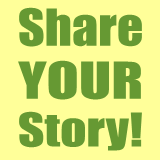 You'll find more ideas and plenty of chances throughout the site to contribute your ideas and comments as well. 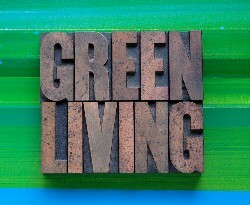 I also found more information on how to live a greener lifestyle while saving money at Easy Green Living. Take a look around to find more ideas or details for going green and engage in some eco friendly living decisions in your life!